I am proud to announce that I will be offering my S.A.F.E. BULLY PROOFING SYSTEM Workshop to kids ages 5 - 12 on May 26th. This will be FREE to all, and I always look forward to having the opportunity to help kids improve their self confidence and self-esteem. How to detect, defuse or defend themselves. Having the courage to make the right choice under pressure. How to stand up for themselves even when a group of people are trying to intimidate them. 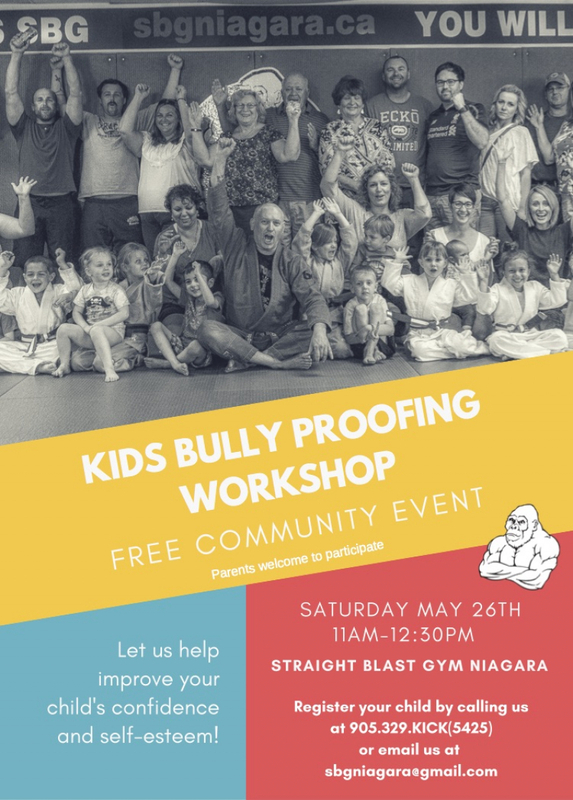 Participants MUST PRE-REGISTER, so if you have children that you would like to attend this event, please contact me at sbgniagara@gmail.com, or 9056.329.KICK(5425).